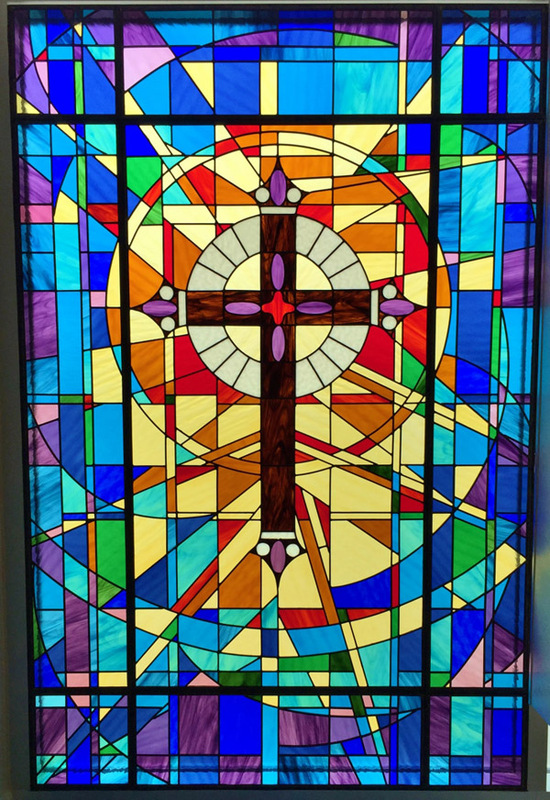 Our dedicated team of stained glass artisans recently completed a stained glass restoration project for Bingham Lutheran Church. This quaint church is located in Nebraska and houses eight donated stained glass windows that were each donated by a local family that all reside in the small community. 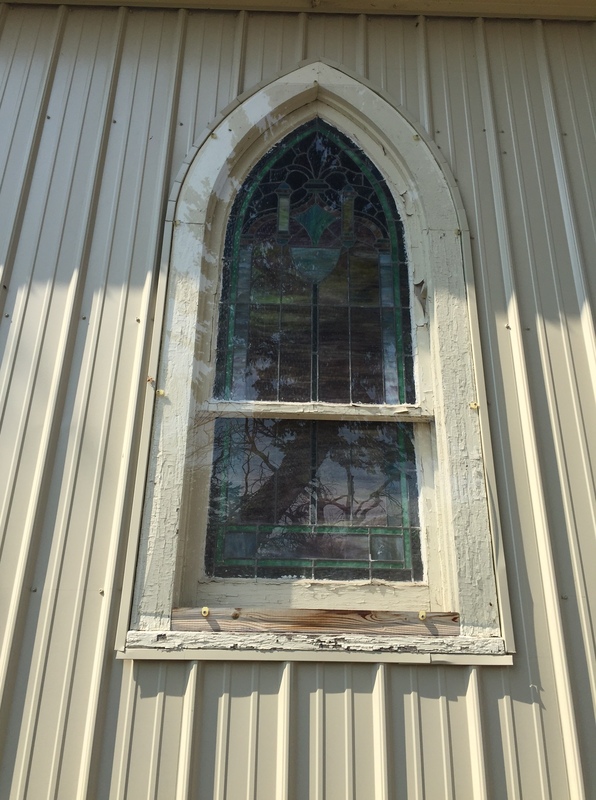 Bingham Lutheran Church reached out to us with concerns regarding the exterior appearance of their stained glass windows that were installed 70 years ago. 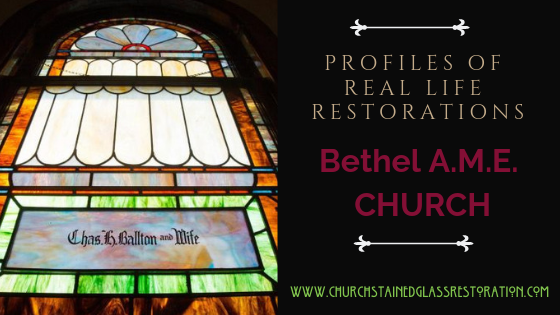 After conducting our thorough assessment of their religious antique stained glass, we were able to determine the causes of deterioration and create a custom-tailored restoration plan. Before picture of Bingham Lutheran Church’s stained glass window from the exterior. 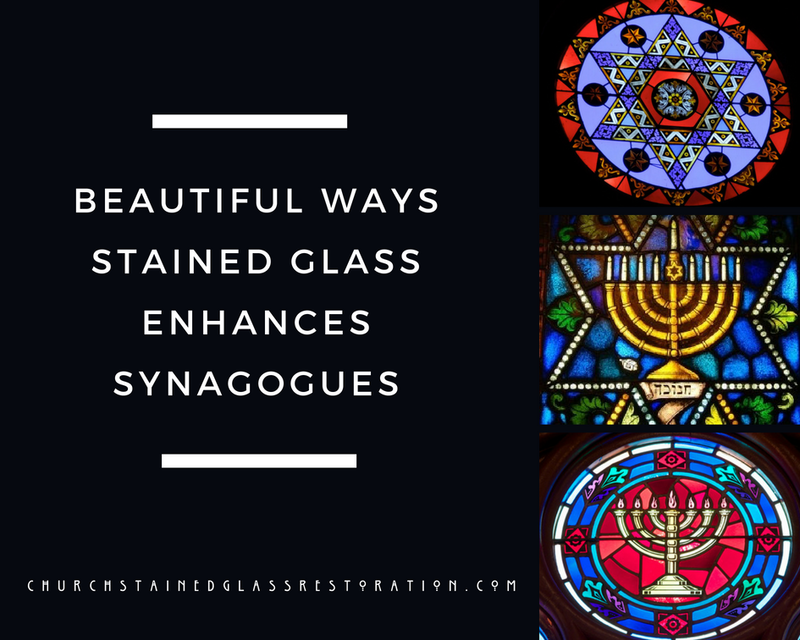 Our on-site assessment found that the plexiglass that was installed on the exterior of the stained glass windows were the root cause of deterioration. The exterior wood framing that caused initial concern required fresh paint and minor restoration work, but the plexiglass had caused warping of the stained glass itself. The permanent plexiglass also made the wood framing inaccessible for regular upkeep. 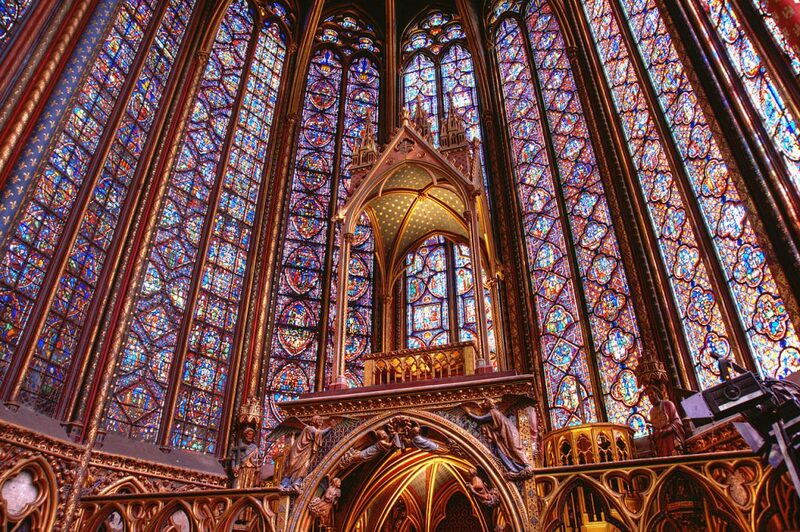 We determined that their eight stained glass windows would require restoration within the next ten years. 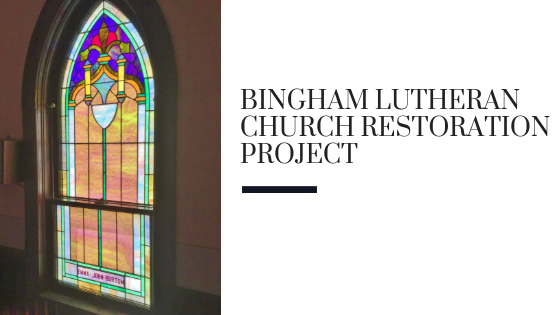 After providing a cost-benefit analysis of what the restoration project would cost now versus in five years, Bingham Lutheran Church decided to save about 20% by being proactive and completing the restoration now. Bingham Lutheran Church reached out to each of the families that had donated the stained glass windows for fundraising efforts. Each family decided to fund the restoration costs for the original window they donated. In an effort to keep costs down, the church formed a workgroup to conduct the restorations of the exterior window frames while we restored their stained glass back at our repair studio. By sanding, painting, and staining the window frames, the church was able to save $12,000. We were able to successfully restore all eight windows and reinstall them in 12 weeks. By removing the plexiglass and replacing it with a clear plate glass that was directly installed in front of the stained glass, the exterior wood frames are now on a regular five-year paint cycle.  The clear plate glass also allows access for regular upkeep and won’t trap in heat. 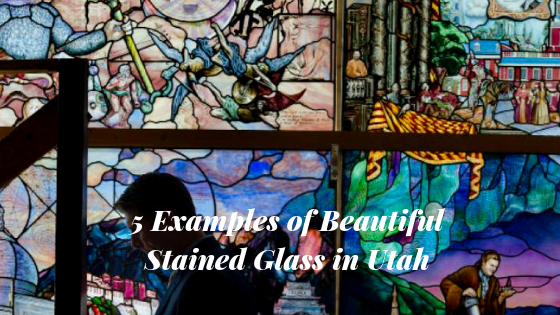 Now Bingham Lutheran Church’s newly restored stained glass windows can continue to inspire their community for at least another hundred years. After picture once the restoration of Bingham Lutheran Church’s stained glass and wood frames were completed. Previous Post Does the Stained Glass in My Church Really Need Repair?